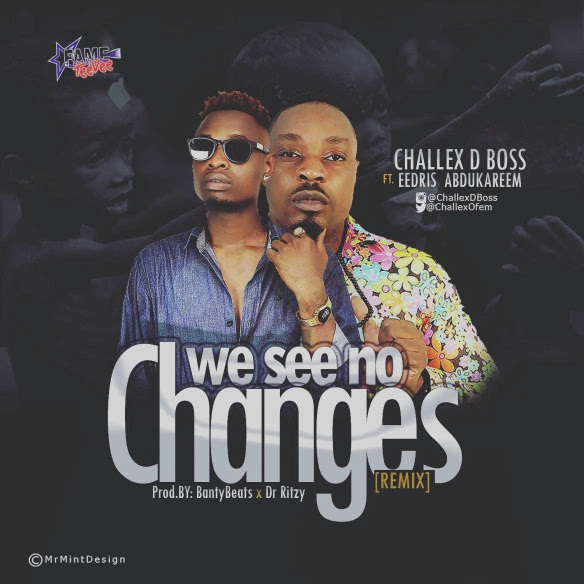 Very talented urban act CHALLEX D BOSS teams up with legendary rapper Eedris Abdukareem for the remix of hit trending conscious masterpiece dubbed WE SEE NO CHANGES. WE NO SEE CHANGES by Fame TeeVee Musik act is a song which many have applauded as he used this medium to communicate the plight of many Nigerians who hardly feed due to the current economic issues the country is facing. The track was produced by “Teddy Banty” mixed and mastered by “Dr Ritzy”. Enjoy !! !